New IRS partnership audit rules will impact businesses for the 2018 tax year, although the regulations will have varied effects for different types of situations. Under the new streamlined audit approach, the IRS will audit the partnership’s items of income, gain, loss, deduction, credit, and partners’ distributive shares for a particular year of the partnership (the “reviewed year”). Any adjustments will be made at the partnership level and taken into account by the partnership in the year that the audit or any judicial review is completed (the “adjustment year”). In a significant departure from current rules, the general rule under the new regime is that an “imputed underpayment” will be assessed at the highest rate for individuals or corporations and collected at the partnership level. This payment by the partnership is non-deductible to the partnership and is treated as a capital transaction to the partners reducing their basis in their partnership interest. An adjustment that does not result in an imputed underpayment (i.e., a favorable adjustment for the partnership) generally will be taken into account by the partnership in the adjustment year as a reduction in non-separately stated income or an increase in non-separately stated loss, or―in the case of a credit―as a separately stated item. Partnerships will have the option of modifying the imputed underpayment by following rules published in the regulations. A partnership generally will have 270 days to submit information to the IRS to modify the imputed underpayment amount following receipt of a notice of proposed partnership adjustment. One method would be the filing of amended returns by one or more reviewed-year partners. Those amended returns would take into account the adjustments allocable to the partners and include payment of any tax due with the amended return. In that case, the imputed underpayment would be determined without regard to the portion of adjustments taken into account by the partners’ amended returns. In addition, the existence of tax-exempt partners, as well as the proper application of lower tax rates to certain partners, will be taken into account to reduce the imputed underpayment. As an alternative to the general rule that an imputed underpayment is assessed and collected at the partnership level, a partnership may elect to “push out” adjustments to its reviewed-year partners. The partnership must make this election no later than 45 days after the date of the notice of final partnership adjustment. If the partnership makes this election and sends the required adjustment statements to the reviewed-year partners and the IRS, the imputed underpayment is paid by the reviewed-year partners. Under the new audit rules, the “tax matters partner” is replaced by a partnership representative. This individual has the sole authority to take binding action affecting both the partnership and its partners. The partnership representative can bind the partnership to agreements with the IRS and make decisions on how to resolve the partnership examination through modifications, amended returns, push out statements, or litigation. The representative is designated on each timely filed tax return and this designation continues until death, resignation, revocation, or an IRS determination of invalidity of the designation. If a representative is not chosen and listed on a timely filed tax return, the IRS has the right to appoint whomever they choose as the partnership representative. The partnership representative does not have to be a partner in the partnership but must be an individual with substantial presence in the U.S. along with a U.S. taxpayer identification number. Many partnerships and limited liability companies (LLCs) will find it necessary or desirable to amend the partnership (or operating) agreement in response to the new audit rules. Partnerships should carefully choose their representative and assure that their partnership agreements provide guidance for the exercise of the representative’s broad statutory authority since individual partners have no statutory right to participate in the IRS examination or litigation, or even to contest the results of an examination without the permission of the IRS. Partnerships should also consider the ramifications of various partnership actions and elections, including the push-out election, that affect both the partnership’s own financial condition and the tax attributes passed through to the partners. Another issue that should be addressed in the partnership agreement is the scenario in which a partner leaves the partnership and the partnership is subsequently audited forcing the new partners to pay the assessed underpayment for the old partner’s share. Indemnification clauses should be explored to properly remedy this situation should it arise. All partnerships should consider what safeguards might be appropriate to protect its own and its partners’ interests in the event of an audit. Certain small partnerships (those with 100 or fewer partners) may elect out of the new rules if all partners are either individuals, C corporations, S corporations, or an estate of a deceased partner. To pass the 100-or-fewer partner test, a partnership with an S corporation partner must include each of the S Corporation shareholders in this calculation to determine if the partnership is exempt from the new partnership audit rules. 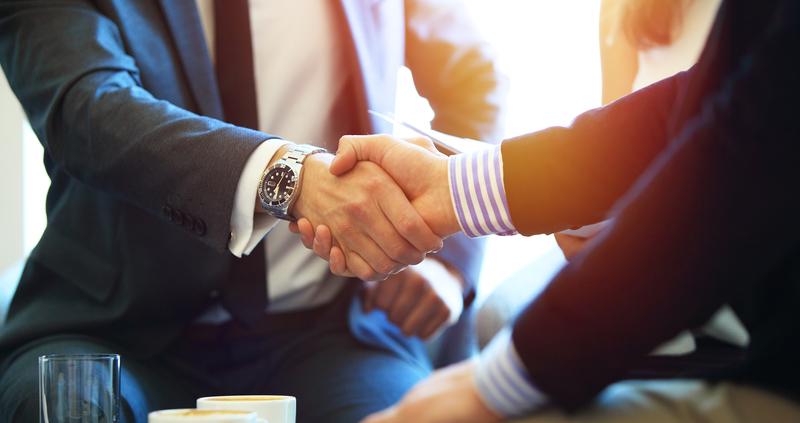 Any partnership with a partner that is an LLC (even a single member LLC) or a trust (including grantor trusts) may not elect out and are automatically subject to the new partnership rules. Eligible partnerships that want to opt out of the new audit rules must do so annually on a timely filed tax return. Partnerships that opt out will be subject to the audit rules prior to the passing of the Tax Equity and Fiscal Responsibility Act of 1982 (TEFRA) ― meaning that the IRS can examine the partnership and find proposed adjustments but must also put each partner under examination to collect any tax or penalties due. Each partnership that opts out must notify each of its partners of the election. Once made, the election to opt out can only be revoked with IRS approval. However, it has been made public that the IRS would like as many partnerships as possible to fall under the new partnership audit rules. It is believed that the agency will be stringent in looking for reasons to disallow a partnership’s election out of the new audit regime. If you have questions about these changes, please contact us at KraftCPAs for more guidance.